This traditional bistros set is perfect for any modern bar or cafe. The chairs are comfortable and support the customers back. 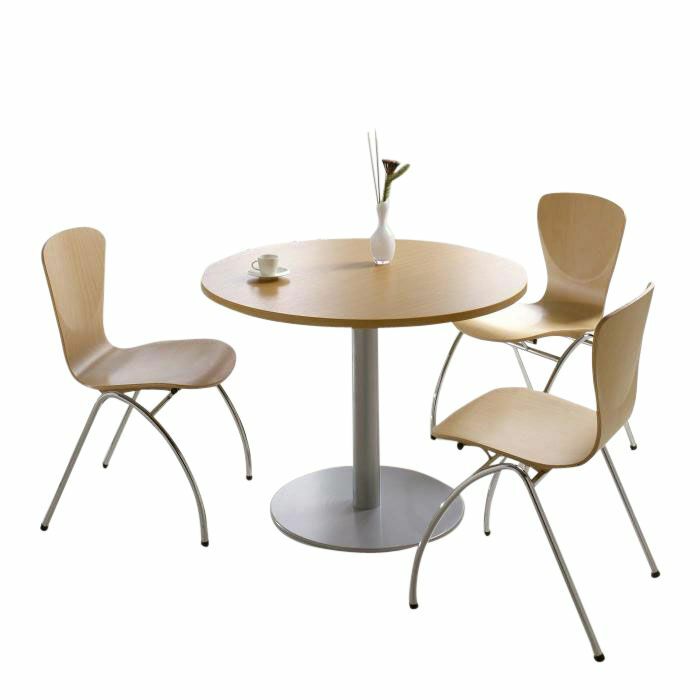 The table comes in a wide selection of finishes and is easy to maintain. Bingo chair in wood finishes with Florida 3 table with silver base and column. Also includes an 800mm diameter Werzalit table top as standard.